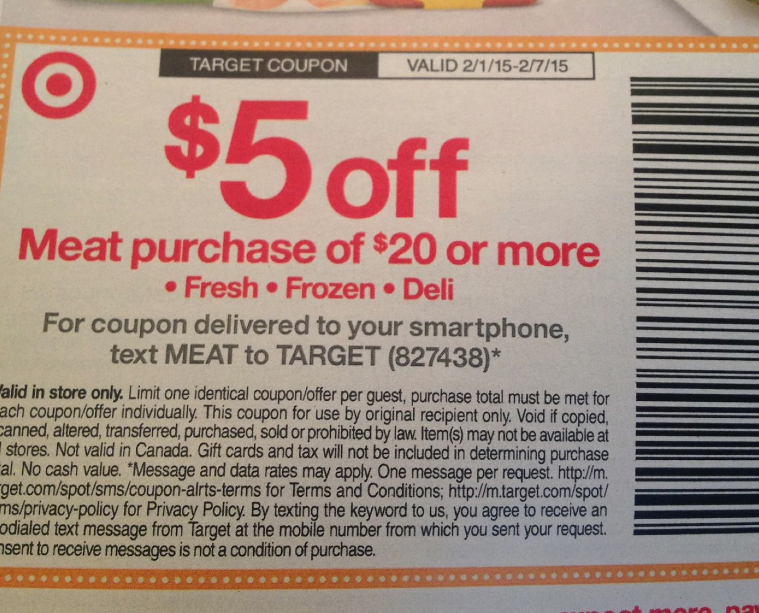 $5/$20 Meat Coupon In Target Ad - Use at PC! This week's Target ad has a $5/$20 Meat Coupon (Fresh, Frozen or Deli) on page 15 which is a nice one to use as a competitor coupon at Price Chopper! Exp. 2/7.